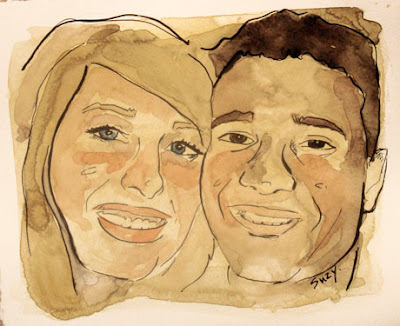 One of my best friends requested a painting of her and her husband for an anniversary gift. That is awesome Suz! You did an amazing job! I love it!! Glad to have facebook stalked my way into your blog. I was just thinking yesterday, "Why don't more of my friends have blogs so that I can't have something else to read besides the NYT?"